This course of training is for all front-line personnel, supervisors, department managers and senior management. The course is self-paced; approximate time to complete the seven modules herein is 2.5 hours. Successful completion of this course is suitable to meet both initial and recurrent SMS training requirements. To provide new-hire and current or previously qualified employees with quality training in Safety Management Systems concepts; to enable both employees and managers to recognize the attitudes and attributes of a positive and “just” safety culture, and to actively participate in that culture; to understand and apply employee roles, responsibilities and authorities as they pertain to safety management; to understand and be able to identify and report hazards and events; to understand and apply both formal Safety Risk Management (SRM) and Time-critical / Deliberate SRM methods to daily activities. There are no prerequisites for this e-Learning course. Produces a record of training within the Learning Management System. 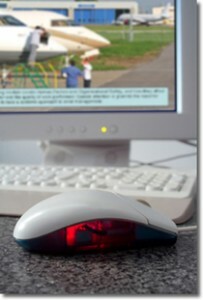 Instruction is delivered via on-line computer program interaction which includes visual text, audio narration, images, diagrams, charts and other graphics. If the student is unable to complete the course in one session, the student may log out. The program records module completions and quiz questions answered. When returning to the course, the student may resume at the last point of progress. A student has completed the course when all pages within the six modules have been presented, and all questions have been answered correctly. Each module contains 10 quiz questions.